Sean Hannity was right, way right. 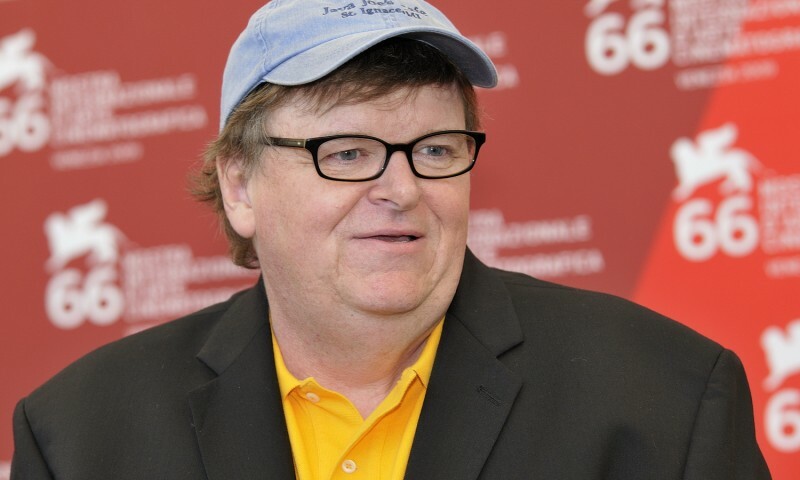 Michael Moore did cross the line coming to Utah but in doing so, may have stumbled unknowingly into becoming yet another influential part of local politics. I was not at Hannity’s pep rally the week before Moore visited UVSC, but he must have left quite an impression on the handful of followers that showed up undeterred by the rain to shout, stomp and try to let Moore know one last time that his liberal thinking was not wanted here. [Michael Moore]In fact, so chilling were their disdainful swipes at Moore -who has seemingly positioned himself as Kerry and Edwards running-mate as part of his obvious mission to remove George W. Bush from office, that in his press conference before his heavily anticipated presentation, Moore had to fight his way through a barrage of questions about the rowdy radicals from the right. The questions were thrown his way by reporters anxious to witness anything else than what they saw: a calm, educated, well-spoken and opinionated documentary filmmaker who has love in his heart for America and Americans in general. Even for the knife-wielding, chain-swinging Mormon gangs that Moore did not expect to be roaming throughout Utah Valley, but nevertheless was prepared to handle. The five-ring circus that played out along the Wasatch Front last week was the biggest carnival we have had around here since, dare I say it, the Olympic scandal. That brought as much national attention to our beautiful state as the pompous parent who waved a check for $25,000 in front of the UVSC student body in hopes that they would cancel the appearance of the Stay Puft Marshmallow Moore, who came crashing down in the middle of what some describe as the most conservative county in the country. Yes, our imaginations are big and regardless of how big and slavingly some people may describe Moore as being, what he really showed us is that our same imaginations that run rampant with thoughts of Al Qaeda sitting at our borders waiting for W to take another vacation so they can run wild in our streets work in his favor, too! Moore’s presentation to the wildly enthusiastic audience of nearly 8,000 was good in the sense that he spoke to the crowd about topics that should concern all of us, such as terrorism, the war in Iraq, the skyrocketing costs of healthcare, and how downright terrible the current administration is at telling the truth. But Moore’s presentation was great in the sense that it scared the ruling-state Republicans so much they actually gave credence to a different voice here in Utah that doesn’t normally get much attention, and surely less respect: the open-minded liberal! Give it up to UVSC, who, in their mission to satisfy their own curiosity as well as protect their amendment rights, showed by example instead of fear that radical beliefs like freedom of speech do have a place here in Utah. Moore continued to entertain as well as educate about the distressed situation of our country -the bombs, the lies, the inevitable death of the old Republican guard that has its talons deep into our social conscience as well as into the back of the international community that has been pushed aside in the USA’s valiant quest to rid the world of terrorists. Like many others before him that stand firmly on both sides of the deep political divide that separates our country, he did become a bit long-winded and boring and maybe even a little too critical of his hated opponent George W. Bush and the rest of his gang. But Moore did make his point. All of us have a voice; all of us have a responsibility to learn what our country is doing and why; and most important to Utahns, Utah is a part of the United States of America and because of that, we do have as much the freedom to listen to Michael Moore as he has the freedom to speak.